The Huff & Puff scheme allows the Year 4, 5 and 6 pupils to facilitate activities for the younger pupils in the school. They deliver a broad range of activities, some of which are sport specific and some that are solely just to get the pupils more active at lunch time. Not only has this scheme added to the structure of lunch time activities, it has given the Year 5 and 6 pupils invaluable coaching experience, providing them with responsibility to deliver high quality activities. These pupils will continue to develop their leadership and communication skills through this. Our KS2 playground is zoned to ensure a wide variety of activities are available. These are organised and run by our Huff & Puff Leaders. We have a Ball Zone, Traditional Zone, Chill Out Zone and Games Zone. Chill Out Zone: In the Story Hut with colouring activities and stories. This is a group of children from Y4-6 who join together to develop, organise and promote school sport and intra-school competition within Edlesborough School. • contribute to decisions about sporting activities and sports competition in our school. • engage in aspects of school life outside timetabled lessons. • air views and have opinions listened to. • influence and shape school sport for their peers - they attend weekly School Council meetings. • assist in the development and planning of ‘their’ School Games programme of activities — based on student voice and need. • organise intra-school competitions within their school such as Interhouse Football and School Games day. 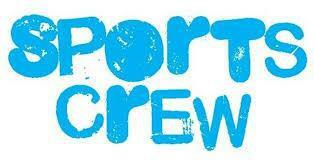 The SSOCrew is seen as an essential aspect of developing school sport provision that meets the needs of the children at Edlesborough.